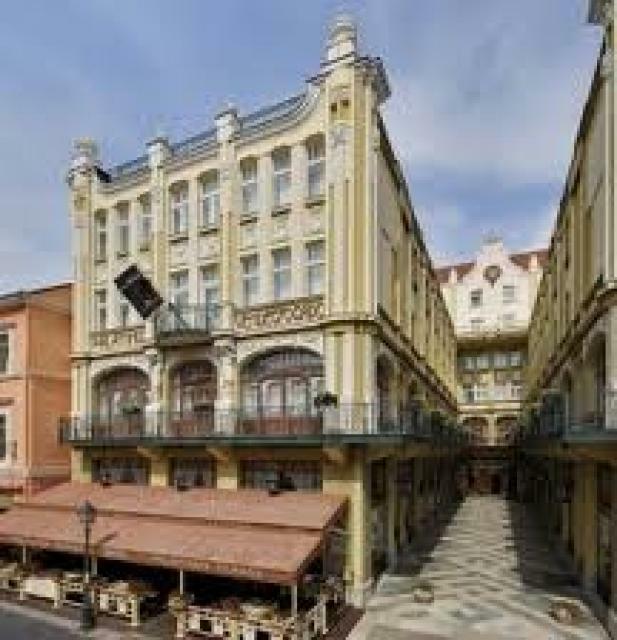 - On the prime shopping street in the historic centre facing the main square of Pécs. - Renovated fin-de-siècle pile with a magnificent lobby. - Stylish restaurant, grand ballroom and imposing entrance hall are Art-Nouveau masterpieces. - Discover why this hotel has long been a favourite among famous guests. The price includes the accommodation the buffet-breakfast, the sauna use in Hotel Palatinus’s Relax Studio and VAT. 88 rooms and 6 suites, some with air-conditioning. Bath, telephone, radio, TV, minibar. Smoking and non-smoking rooms, allergy friendly rooms. Rooms with twin beds on the 4th and 5th floors overlooking the pleasant neighbouring rooftops of the inner city. The furniture and style of the rooms reflect the hotel’s Art Nouveau atmosphere. A few three-bedded rooms are also available. Rooms with a double bed or twin beds on the 2nd and 3rd floors facing the pedestrian street. In our charming Palatinus Restaurant guests are enticed by both with International and Hungarian cuisine. The restaurant, with a capacity of 120 guests, is the perfect venue for company events and gala dinners. Hotel Palatinus’ two banqueting-halls and restaurant provide the perfect place for balls, parties and conferences for up to 300 people. The elegant Bartók Hall with its original decoration is suitable for special events and balls. Nádor Hall is recommended for training and business meetings. High-speed broadband wireless Internet access (WiFi) is available in the function rooms, the lobby, the Business Centre and the common areas. GPS Coordinates: N 46°4'46" E 18°13'18"